It was inevitable. I have seen this happen so many times before. I have even made several jokes to others affected by this moment… a daughter’s first date. The days are passed, where my daughters looked at me more as some sort of superhero. Of course, the super hero reference is more than coincidence as they both know how much I like superheroes. Each of them have their own special skills, abilities, traits, and characteristics. 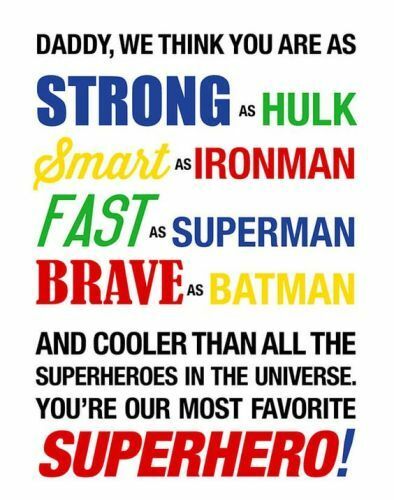 But as my youngest daughter let me know the other day, not to undervalue the role of a Dad as a superhero. I may not be green, but unprompted, she said, “Dad, you are one of the strongest people I will ever know.” She was of course making reference to the many physical challenges of my life, and my refusal to quit. But now, as I enter the next phase of parenthood (full blown teenagers), just as superhero movies get re-boots, I am due as well. 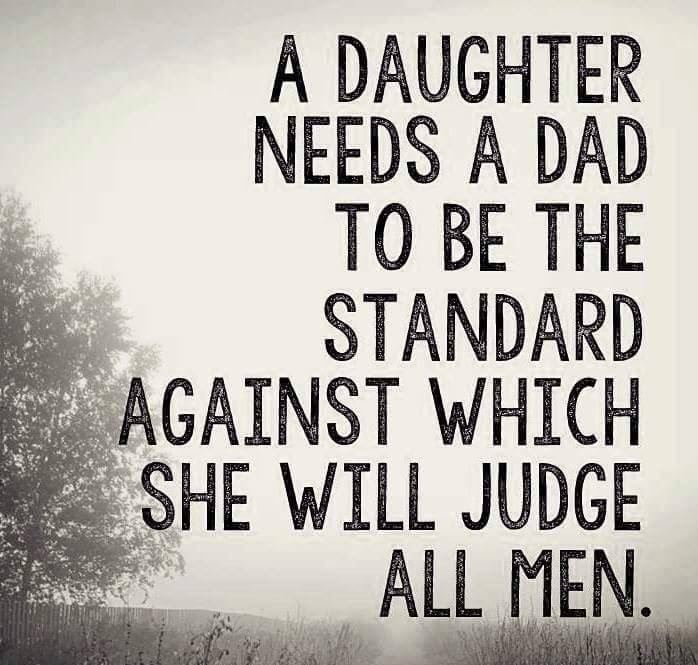 Although I will still retain all the qualities that my daughters have known their whole lives, strong, smart, brave, there is a new one that I want them to pay special attention to. My oldest is going to be going to her first dance soon. I remember my heart dropping to the floor when she told me. Of course, she relished in telling me this news, because I have always kept this type of future conversation very light, jokingly, maybe, that I wanted her to remain a little girl, never grow up. But she is growing up. When I talk to my daughters about this next part of their life, I talk to both. Because it is important. I have told them, it is important first and foremost, that they respect themselves first. How they want to be treated, is how they will expect an interested individual to treat them. My daughters should want doors opened for them. 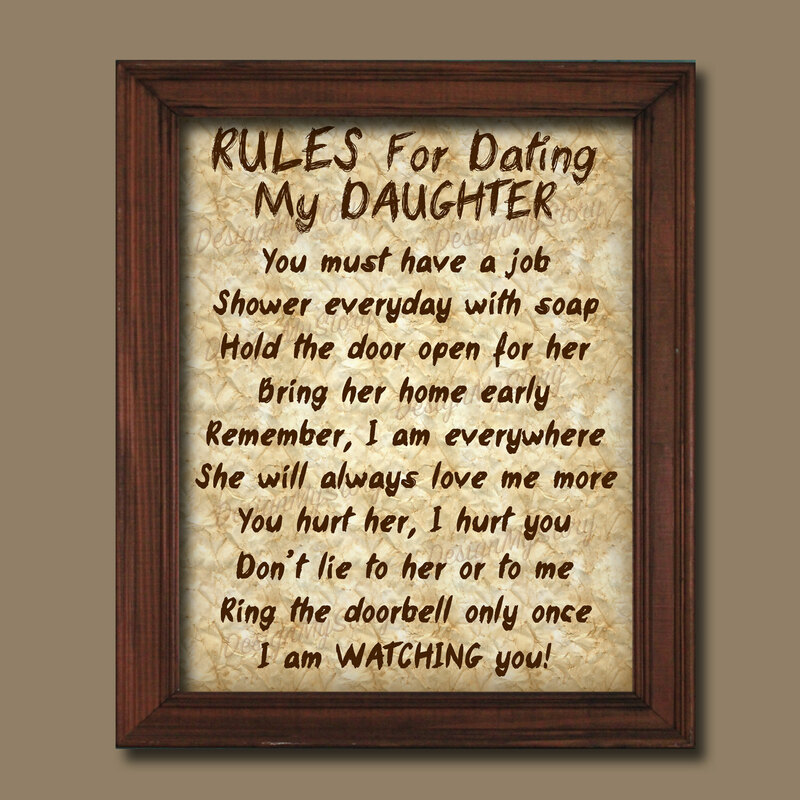 If the dating continues… gasp… gets serious… gasp… that they refer to themselves as dating or… gasp… boyfriend or girlfriend, then the actions of the other must reflect the values that I want my daughters to insist on. I told them that if hands are going to be held, then school books should be carried for them. 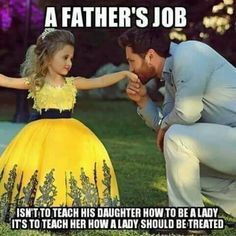 Of course, most importantly, treat my daughters with care and respect. All kidding aside, I am very proud of both of my daughters. I believe they both have a good head on their shoulders. And I knew some day this day would come. I am hoping that they have seen enough of my example to see how my actions, and that they should want to be taken care of the same way. But here is an interesting, and differing view point of just a two year difference. In having the conversation with my oldest daughter upon finding out of her first date, the first question that I asked, “is he nice boy?” And she said yes. I did ask her his name, and I did so, as I explained to her, this time was one time that I did not want to make a joking matter, and treat him with respect right from the beginning, which meant, calling him by his name, not “him” or any other nickname. It was the next question that I got two surprisingly different answers. I asked, “who is paying for the dance?” She responded that they were each paying their own way. I could not have been any more proud of her. Having experience of being a teenage boy, going “dutch” (each paying their own way), was at least a psychological way to make sure that each knew that there would be nothing funny going on during the date, that otherwise might be assumed if paid 100% by the suitor. Of course, I complimented my daughter on that decision, saying only that it was a good thing, because by doing it this way, it would allow them to enjoy only the moment they were in, going to the dance, without thinking about anything else. Sure, I am dreading dates #2 and #3 and so on, but at least I know right now, she is thinking respectfully of herself. My youngest daughter took it from a different angle. She is two years younger, but felt her sister was making a foolish mistake not saving the money by making the boy pay for the dance. Of course, I would agree with her logic, because I have had frequent conversations with both about money and decision making. And I want them both to make good money decisions. I let her know that she made a good point, but then I told her this situation was a little more complicated than that. I kept the explanation a bit simple by just saying, by her sister paying her own way, it did not make the boy feel or think, that there was any more interest at that time, and she would not expect that either. This way, there was no pressure, they could just enjoy the school dance. I am fortunate to have the relationship with my daughters that I do. It is not the Norman Rockwell family photo type, as like many families, our family is no longer together. But between the times that we were together, through the last 24 hours, I still take every opportunity to remind them about life, what they should want, expect, how to handle adversity, and hopefully to make good decisions. One of the best decisions I made, was in hiring their “final” babysitter. After having issues with several, we found “the one”, a teacher at their daycare, and for the next eight years, she became a role model for them as both a young adult and student. This special babysitter was not only caring when it came to babysitting, but in her personal life, she balanced work, school, along with what was important to her at the time. For now, I am starting to regret teasing my other dad friends about this day.